Prosecutors investigating the downing of Malaysia Airlines Flight 17 over eastern Ukraine in 2014 said on Thursday they had identified the missile used to shoot down the plane as coming from a Russian military unit. The airliner was hit by a Russian-made missile on July 17, 2014, with 298 people on board, two-thirds of them Dutch, over territory held by pro-Russian separatists. All aboard died. 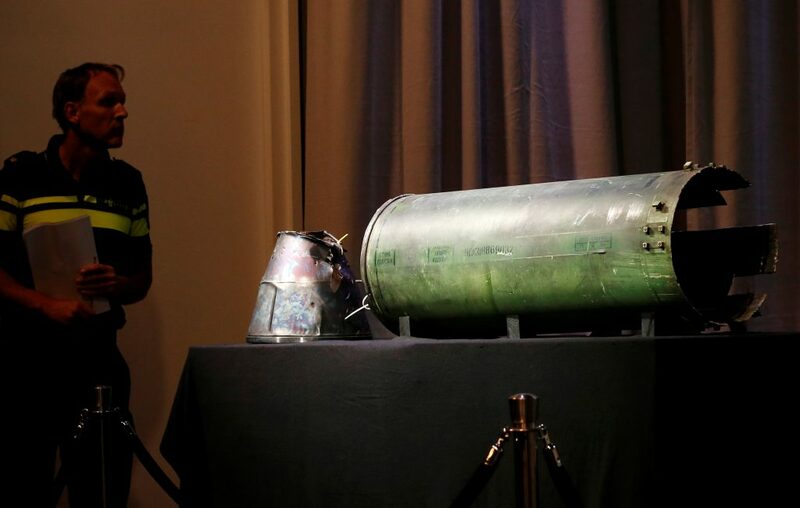 Wilbert Paulissen, head of the crime squad of the Netherlands’ national police, said the missile had been fired from a carrier belonging to Russia’s 53rd Antiaircraft Brigade. “All the vehicles in a convoy carrying the missile were part of the Russian armed forces,” he told a news conference. Russia has denied involvement in the incident. There was no immediate comment from Moscow on the investigative development. In an interim update on their investigation, prosecutors said they had trimmed their list of possible suspects from more than a hundred to several dozen. He said investigators were not yet ready to identify individual suspects publicly or to issue indictments. The question of whether members of the 53rd Brigade were actively involved in the downing of the plane remains under investigation, he said. Westerbeke called on witnesses, including members of the public, to help identify members of the crew that was operating the missile system. He also asked for tip-offs in determining what their orders were and in identifying the officials in charge of the brigade. A Joint Investigation Team, drawn from Australia, Belgium, Malaysia, the Netherlands and Ukraine, is gathering evidence for a criminal prosecution in the downing of the plane. The Dutch Safety Board concluded in an October 2015 report that the Boeing 777 was struck by a Russian-made Buk missile. Dutch prosecutors said in September 2016 that 100 “persons of interest” had been identified in the investigation, while Australian and Malaysian officials had initially expressed hope that suspects’ names would be made public in 2017. Eventual suspects are likely to be tried in absentia in the Netherlands after Russia used its veto to block a U.N. Security Council resolution seeking to create an international tribunal to oversee criminal complaints stemming from the incident.